BB's Bar and Grill is located in Baulkham Hills inside the Bull n Bush Hotel. They are open seven days a week for lunch and dinner. At the BB's Bar and Grill they have a selection of different foods, for all taste desires. On the entrée menu, they have salt and pepper calamari, prawn cutlets, garliic and chilli prawns, beef nachos and chicken quesedilla, as well as side orders including garlic or herb bread, chips, wedges and more. Their main menu includes some of your favourites i.e. chicken schnitzel, chicken Parmigiana, chicken Kiev, grilled chicken breast, BBQ pork cutlet, veal Marsala and more. You can order from a selection of pastas and stir fries including your classic beef lasagne or a vegetable lasagna, prawn and sweet chilli linguini and more. They have a selection of seafood options also, as well as their "From the Grill" options such as Scotch fillet, prime rump and New York cut sirloin. They also have a salad menu and kids menu. This is a great place to go for lunch during the week as there are not many people there and the wait time for meals isn't very long. They have a specific lunch menu of specials which is great for those who want a top quality, reasonable size meal but don't want to spend over $20 for a meal. These meals cost $12 each, so every time I have been it's cost $24 for two people for lunch, to eat a quality meal as opposed to McDonalds or other takeaway shops. The list of options include chicken tenders and chips, T bone steak, pasta Bolognaise, wraps, beef burgers and more. The images below are of the meals we had. They are from the $12 lunch menu you can find on the counter of the ordering bay at the Bar and Grill. 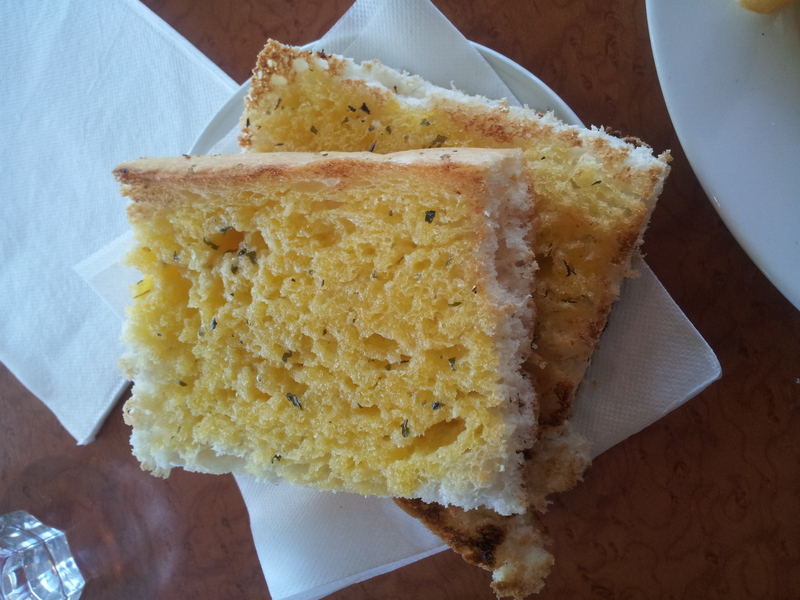 Starter - Garlic Bread. It was delicious! The $12 T Bone Steak! It was so juicy and tasted delicious, bursting with flavour. Great meal! The $12 Chicken Tenders from the Lunch Menu. 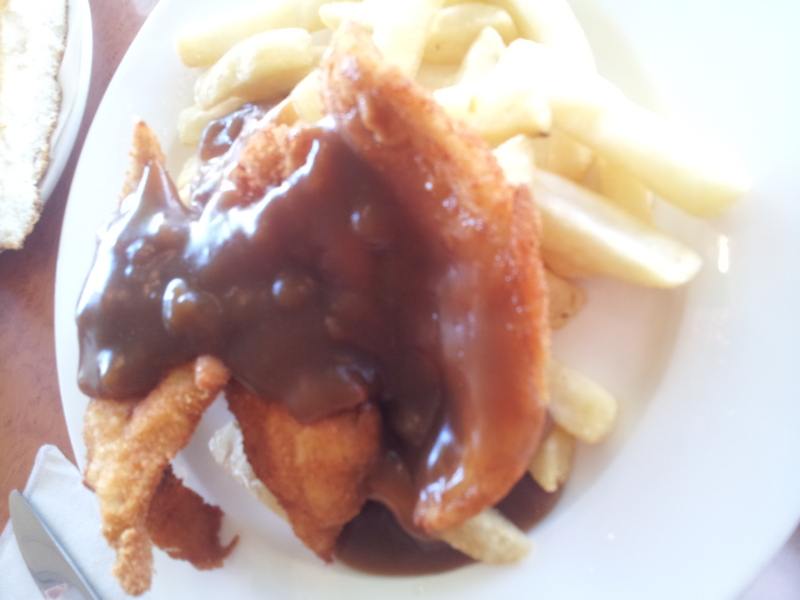 Chicken Schnitzel is one of my all time favourites, and this didn't disappoint. The Chicken Tenders were just smaller Chicken Schnitzel pieces. It had a lot of flavour, chicken was juicy and tender and was cooked to perfection. Gravy added that extra flavour! 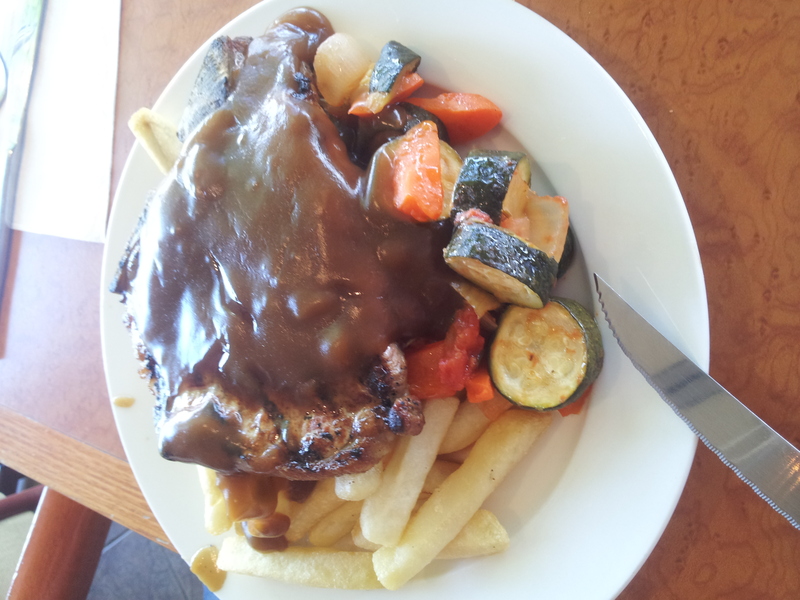 Overall I believe BB's Bar and Grill at the Bull n Bush, Baulkham Hills is a great place to eat. The meals are well priced, even for those on a budget and for families, and they provide high quality, delicious meals packed with flavour. It's good to go during the week as it's not too busy, however I think even on the weekends when it gets busier, the food is still worth the wait. The wait time for food isn't usually very long, which is definitely a plus! They also have a nice atmosphere in the eating area, it's nice and cool with air conditioning, which is great for those hot summer days when you want to enjoy a meal out of the hot summer sun. I would definitely recommend you try BB's Bar and Grill.